After you create a WordPress website and successfully log in, the first thing you will see is the WordPress dashboard. This is the homeplace for admins that holds several useful widgets. On this page, WordPress will show you a few links that will be valuable for any beginner. You will be able to track the number of posts, comments, and pages. It will lead you to the post editor so that you can write your first post, fill in a quick draft, see recent activities, and read the latest news about WordPress. 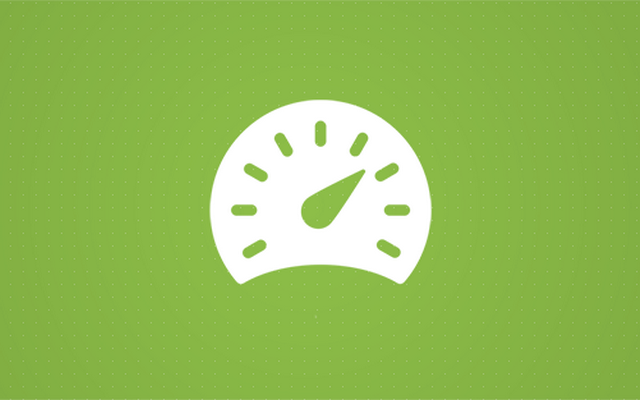 Get to know the WordPress dashboard. Use widgets, control them and customize for your new blog. This article will guide you through each and every dashboard widget that comes preinstalled with WordPress, and show you how to quickly customize the looks of the dashboard page. If you have just finished installing WordPress, this is the first thing you will see on the dashboard. Besides welcoming you to the platform, WordPress’ developers have prepared a few handy links that will help you get started. The big blue button on the left side will let you customize your site. To be more precise, it will lead you to “the Customizer”. If you want to change anything on the site that’s design related, Customizer is the place to start. Depending on the theme, there may be more or less options to choose from but most WordPress themes have more options than you’ll need. In the center of the widget, you will find several other links. The first one will lead you directly to the editor so that you can write you first blog post. The next one will let you create your first page (for example, “about me” page which is suggested by the developers), while the third link will simply open the homepage so that you can see what your website looks like to visitors. Once you are ready to move on to the next step, on the right side, you will find links that will let you manage widgets and menus. You will also be able to turn comments on or off, and you can navigate away to WordPress Codex pages where you can learn more about your first steps with WordPress. The next widget gives you a quick overview of your site. See how many posts, pages, and comments you have and click on any of them to open its respective page. If you are interested in WordPress version and theme you’re currently using, just take a look at the bottom of this widget. While browsing the WordPress dashboard, you might get an idea for a new article. Instead of opening the full visual editor, you can quickly write down the title and a few notes. WordPress will save them as a draft so that you can easily continue your work at any time that’s right for you. Please take note that the editor for Quick Draft is as simple as it gets so you won’t be able to style the text, insert images nor videos. You will be able to do all that once you open the draft via the visual or text editor from the Posts section. This simple widget shows the latest posts and comments on your blog, including the precise time and date of publishing. By default, you will only see the “Hello World!” post that serves as an example (because you don’t have any other posts written). You can click on it directly from the Activity widget which will open the editor so that you can update the post. The comments section shows the commenter’s avatar, name, and post on which the comment is located. You will also see a quick summary of the comment. If you hover your mouse cursor over any of comments, you can manage it – approve it, reply, edit, move to trash, mark as spam or view the comment in its post. Below all that, you can find a simple bar that holds the number of all, pending, approved, spam, and trash comments. The last widget that’s displayed on the WordPress dashboard by default shows you the latest WordPress news. Here, you will find a list of recent articles on WordPress coming from different websites like the official WordPress.org blog. The news widget will help you stay in the loop and learn about the latest updates, themes & plugins, tutorials, etc. Here you will also find one suggested plugin that might attract your attention. Now that you know what the widgets do, it’s time to personalize the WordPress dashboard. For starters, you should note that you can quickly remove the welcome widget. Once you’re comfortable with posts, pages, and comments, you can just click the little “x” button on top-right of the welcome widget and dismiss it altogether. If you hover over the title of any of the before mentioned widgets, you will notice that cursor changes. Once you see that your cursor points in all four directions, you will be able to move that widget to another location. Simply drag and drop the selected widget onto a place that suits you better. Also, if you don’t want to see the content of a particular widget, click the little arrow in the top-right corner. One of the most overlooked parts of WordPress dashboard are the screen options. You can find them on top of your page (please make sure to scroll all the way up because screen options may hide behind the admin bar). Once you select the option, a new white bar will drop in from above exposing all the widgets (boxes) that you have installed. By (un)checking boxes next to the widgets, you can easily show/hide them from the WordPress dashboard. Please note that by default, you will have only five widgets, other (custom) widgets will appear once you install additional plugins and themes. Depending on the number of plugins you have, and the plugins’ features, you may easily end up having dozens of extra widgets on the dashboard. For example, by installing a Google Analytics plugin (there are many different ones), you will get a statistics widget that will show you the number of visits for that day, week or month. WordPress dashboard is the first place to see when you log into WordPress. Learn what you can do on the dashboard, what elements are available by default, and how to customize it to your needs.